THE UNEMPLOYED EATER: Be Humbly Siked. Humble Potato Opens Tomorrow In Culver City. Be Humbly Siked. Humble Potato Opens Tomorrow In Culver City. 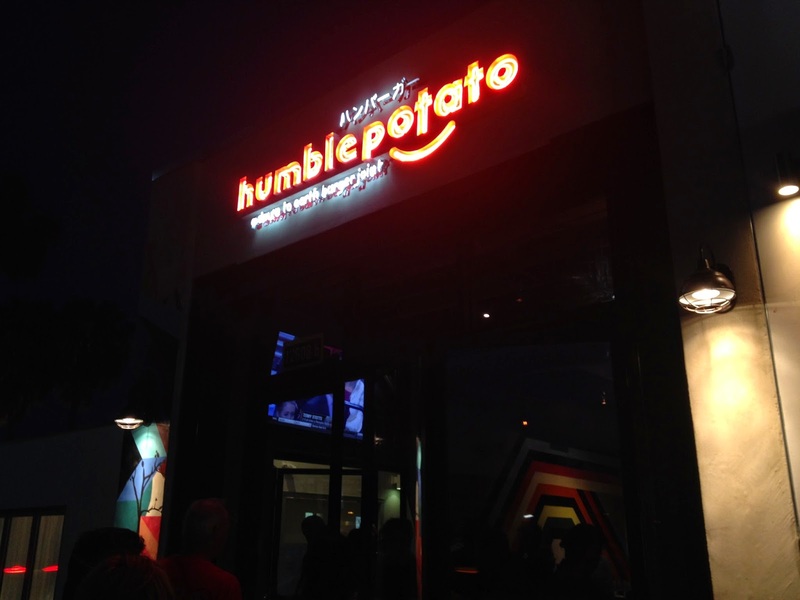 Humble Potato, the Westchester neighborhood staple, is cracking the front doors wide open on their second brick and mortar tomorrow, May 1st, in the ever-popular restaurant haven that is Culver City, California. HP will enter the CC dining field adjacent to the new Sunny Blue and nearby stalwarts, A-Frame and The Corner Door. Like the original location near LAX, expect the new Culver City Humble Potato to sling delicious, tasty burgers, hot dogs and sandwiches with an Asian flair. For example, my favorites: the Battle Royale burger (angus patty, caramelized onions, garlic jam, smoked bacon, avocado, romaine, tomato, fried egg, shichimi togarashi spice, and spicy house HP sauce), the Katsu Sando (panko-crusted fried chicken, yuzu-jalapeno slaw, house HP sauce and tonkatsu sauce) and, for sure, their Shichimi and Garlic Parmesan Fries. Also very much display at their Friends & Family fiesta this past weekend: a very local nabe vibe. Like the Westchester location, HP very much wants to be stomping grounds for Culver Citizens. The space is inviting with colorful art splayed on the walls and a sizable (for the area) back patio seating area. In contrast to the original Humble Potato, the CC joint will be sit down with waiter service, as well as offering beer and wine. It even features a few TVs to catch the game. Yes, I wrote "the game." 12608 W. Washington Blvd, Culver City. Opens Friday, May 1, 2015.